All of our products use a cutting edge digital printing technology with inorganic ceramic ink. The high temperature manufacturing process ensures high-quality colors that are durable and will never fade. 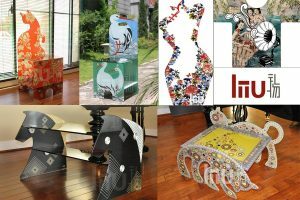 In addition, our designers create an original pattern and style for each and every item, so you know that your LiiU product will be unique. Every aspect of our products is created by our designers, from the style and structure of the design to the pattern of the art. Moreover, we subject all products to rigorous mechanical testing to ensure their safety and comfort.